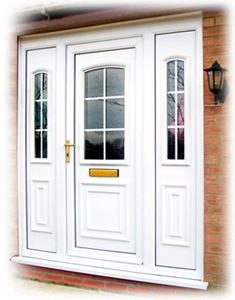 Why replace your UPVC doors when we can repair them for you? We carry out many Bristol UPVC door repairs saving our clients money and hassle. We can be with you in 30 minutes. We have years of experience fitting and repairing UPVC doors and windows around Bristol and there is not a security system that we have not had expereince with. In fact, over 20 years of experience working with all makes of door and window put us in a perfect position to ensure that we can delivcer the best service to you. With our experience and expertise you can be sure that you are receiving years of working knowledge that means you get an efficient and expert service at t he best price. We are only too happy to offer free advice and aswer any queations you might have about all aspects of UPVC windors, doors or other quality security products. Call your local Locksmith Bristol for UPVC and locking to get the job done today at the best price. We can repair or replace and will always provide you with the cheapest option. Call today for a free quote. 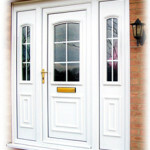 We can repair almost any UPVC door so it will be working like new again. Why risk a broken door or handle when you can have it fixed today. Why not call us today so we can advise you on the best course of action to get your Bristol UPVC door repair completed for minimum cost and no-hassle. Available immediately or at a time that suits you. Just call us today. To find assistance with house lock out situations you are welcome to get in touch with our wonderful crew at any time.